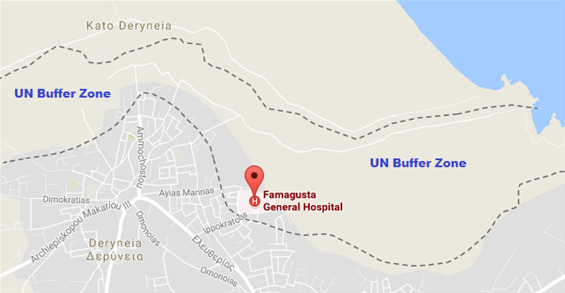 There are few areas in the UN Buffer Zone in Cyprus that are accessible to the public. 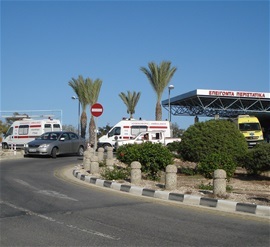 Famagusta General Hospital is one of them. 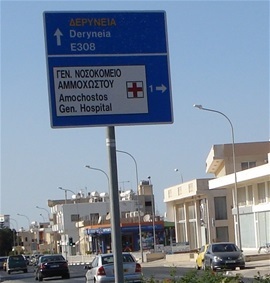 The whole hospital area is located in the buffer zone, and the place is easily found from the centre of the nearby town of Deryneia. 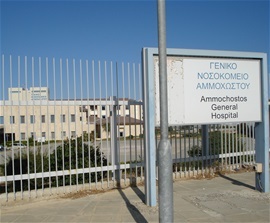 Famagusta (or Ammochostos) General Hospital pictured from the outside. A view inside the hospital area. 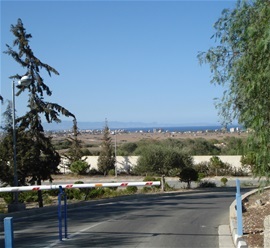 Another view from the hospital area, with the town of Famagusta in the Turkish sector of Cyprus in the distance. All photos: (C) Rolf Palmberg .